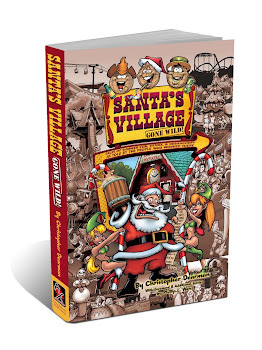 On a Saturday afternoon last month I had opportunity to go behind-the-scenes of a Dells attraction that until recently, I never even knew existed. 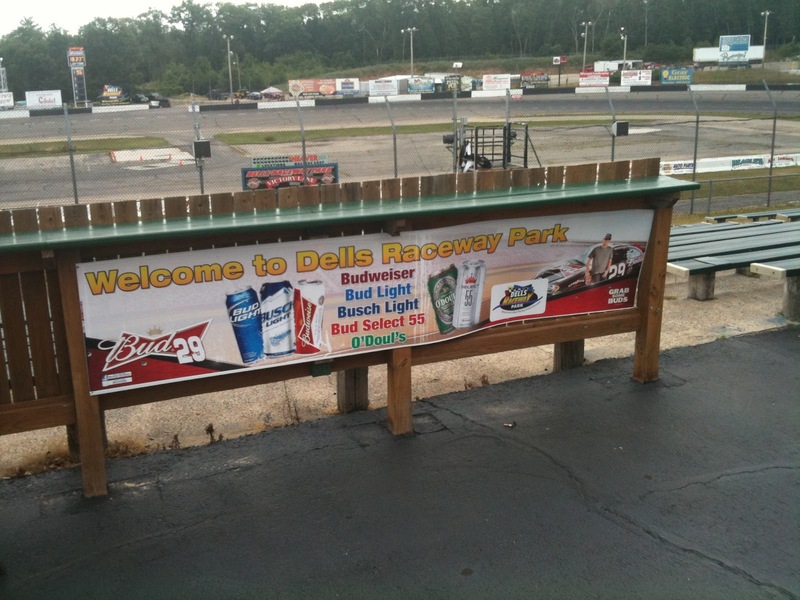 Dells Raceway Park has been home to thrilling stock car racing for the past fifty years, and while it might not be as well known as some of the other Dells mainstays, I found that it offers just as much excitement, if not more. He eventually became a highly successful race car driver himself, and besides now owning his own track, also has one of the most well-known manufacturing companies in auto racing called Lefthander Chassis. This is in addition to owning a museum that houses many well-known vehicles, including JFK’s secret service car that was directly behind his during the assassination, called Historic Auto Attractions in Roscoe, IL. 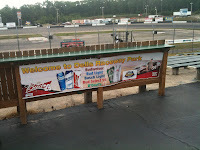 Not being much of a race fan myself, I wasn’t sure what to expect when I arrived at the park about five miles north of town. My only experience with any type of professional racing was attending the Indy 500 a few times many years ago, but those memories are quite foggy as I went mostly for the party atmosphere that took place in the parking lot, rather than for the races themselves. My day at the track began with a sit down with Wayne, where he told me about his past, how he acquired the Raceway, and some of his thoughts for its future. 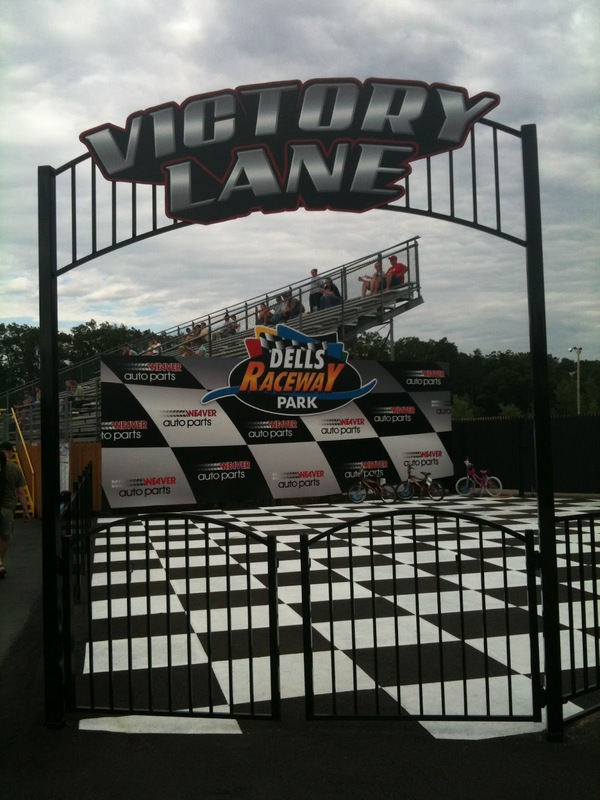 He has numerous ideas for things he would like to do with the park, such as the newly built Victory Lane, where there are plans in place to have drawings for kids to ride in a car for a lap or two with a driver, then get their pictures taken with trophies. After Wayne showed me the announcer’s booth and the room where all the race scoring is tracked, I got a pit pass to see different cars from the four divisions that race on the track. 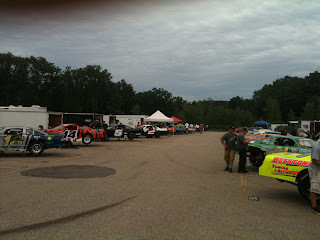 Consisting of Bandits, Pure Stock, Sportsman and Late Model cars, I got to meet some of drivers, as well as see some of the cool looking vehicles up-close. Shortly thereafter, it was time to see them in action. After a pre-race prayer for safety, and the singing of the national anthem where a parade of cars with American flags circled the track, the drivers lined up ready to race. 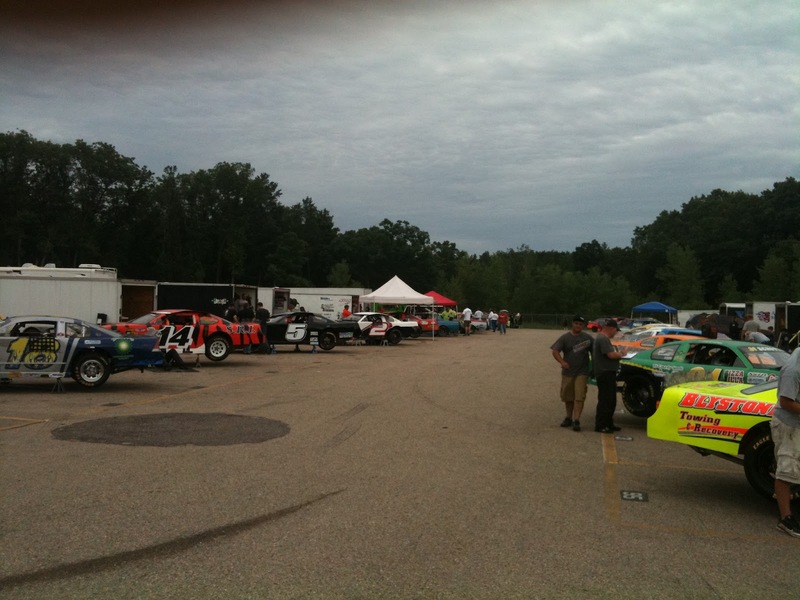 “It’s almost time to rock the house in Dells Raceway Park!” was announced over the loudspeakers, as the sounds of rock music and stock cars revving their engines filled the air. You could feel the excitement starting to build, as the spectators of all ages that filled the stands got ready to watch moments before the first race was to begin. 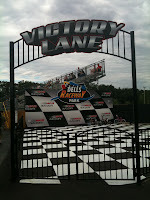 After the green flag was waved, the cars raced around the 1/3 mile asphalt track in thrilling fashion, with squealing of the tires as they took the corners, and high speed maneuvering on the straight-a-ways. Besides the close finishes of many of the races, one of the highlights for me was seeing the yellow car I took a picture with before the race jackknife a green car in the side making it spinout. Unfortunately for him, the racer that caused the disturbance had his race day cut short, as he was told to leave the track immediately afterwards. Seeing Wayne smiling as he was walking around in the stands before I left, I asked him what’s left for him to do. He said: “Well, the thing I want to do is that I want to grow the race base of cars and fans because it’s got to be family entertainment. That’s my whole thing, whatever it takes, whatever I can learn, whatever it takes to have family entertainment.” I told him that he was well on his way, and that I definitely had plans to bring my own family to the track someday. *** I'd like to thank Wayne Lensing for taking the time to tell me about his history, his business and for gicing me access to parts of the Raceway I otherwise would never had the chance to see. 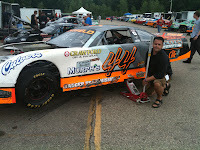 If you would like ti see some more photos & videos of some of the races you can find them here.